LAUREL, Del. 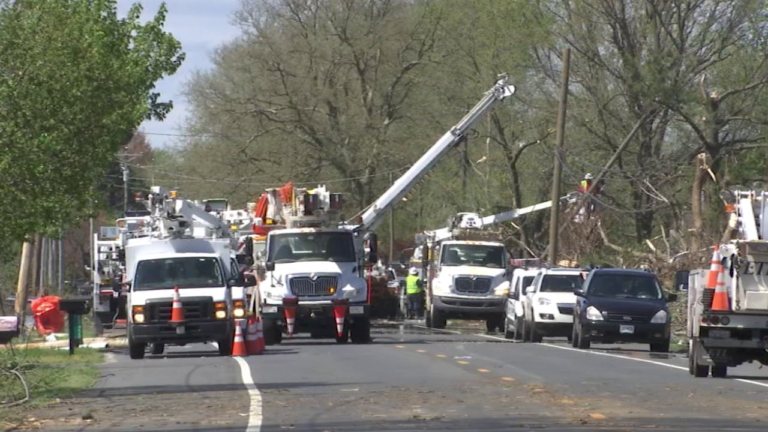 – In Sussex County first responders played a crucial role in keeping neighbors safe from the effects of the tornado that hit several places in Laurel on Monday. Members of the Laurel Fire Department said several homes were severely hit by the rough winds. According to the Assistant Fire Chief at the Laurel Fire Department Mike Lowe, firefighters started to get calls for help around 3:30 AM. Lowe said the rough winds mixed with rain made things more difficult when responding to calls, and that this why help from other firefighters and organizations from across Sussex County was crucial for Monday morning. The assistant fire chief said for safety reasons it is crucial for people to avoid areas like Seaford Road north of Laurel until it is cleared.